Velion and Nelenor have been released from their prison, thrust back upon the world for the first time since the Great Awakening. Mages are emerging from Ambarhal, confused and suddenly powerful beyond belief. Now the Department of Magical Research has a plan to defeat the Twins once and for all, and the Prime Mages must band together to meet this threat. Orym uncovers the true nature of the Prison that kept the Twins at bay for so many millennia. And Trey has a new problem: a devastating secret that’s been kept from him for thousands of years. Lusvunub sparkled in the night, yellow floodlights and barbed wire and tar spreading out like great spiders beneath a starless sky. Banzab paused, sniffing. There was too much smoke in the air—not when most of the People should be lining up, preparing to enter the gate. The trashburners shouldn’t be operating at all right now—the smoke always disturbed the infants. She turned toward Second District, seeing the orange of flames in that direction. Cookfires, she thought, not trashburners, though they were larger than normal. Perhaps the People were frightened, nervous, anxious about what was to come. She couldn’t particularly blame them. Banzab strode through Martial Square, reclaimed armor clinking musically as she walked, her proper jata hair falling beautifully against her back. It was lighter than the others—too blonde—but she’d made up the difference with extra dirt. She’d never been afraid of getting a little dirty. Martial Square was full of preparations. Weaponmaster Galab was overseeing distribution, handing a weapon to each person who passed. Only some of them were guns, and those not very reliable. Lusvunub didn’t have the same cache of military reclamation as some of the other Settlements—Falnarub in the east, in particular. Banzab had tried to reach out to the People there, to see if they would help, but it was no use. The People on that side of the continent preferred their isolation. They hadn’t been visited by Magona, yet. They didn’t know what was to come. But Magona had said that it would be enough. So they were going with what they had: a few dozen rusted semi-automatic rifles, some pistols, fifteen compound bows. The rest were armed with knives and axes—fool’s weapons, in Banzab’s eyes. No machetes, like the People on the west coast. It was all they had, and Magona hadn’t wanted to go find more. Banzab approached Weaponmaster Galab, catching his eye as she neared. “Is it ready?” she asked, the guttural tongue of the People rolling from her lips. Galab nodded. He slapped the man in front of him hard on the back, sending him forward into the line of troops that were forming around the gate. “Have it right here,” he said, reaching under the table. The blade he pulled out was thin and gleaming, impossibly straight, with a dark pommel and handle that glittered strangely in the yellow floodlights that surrounded them. Banzab took the weapon from the man, marveling at how light it was. Her fingers crept around the handle, and for a moment she was somewhere else. For a moment she was seeing dark shapes, cement, hearing the tearing of steel. Her hand clenched as she relived the memories, fragments of her past life crashing in around her. Then she clipped the blade to her belt, and the vision disappeared. “You did well,” she said to Galab. Banzab shook her head, jata dreadlocks waving from side to side. “It is for an old friend—one who is long dead. I cannot use the magic in this blade, but I can still kill.” She bared her teeth. Galab’s mouth formed a straight line. “Kill you shall,” he said, breaking into English for one brief word. He was the only one besides her who could do that. “Your place is at the head,” Galab said. “You should be up there.” He nodded toward the gate, glimmering in the darkness at the far end of the square. “My place is with the People,” Banzab said. “Head or tail, it does not matter. Be well.” She clutched a fist to her chest in the People’s salute. Galab returned the gesture. “Be well.” Then he turned to see to the next soldier in line. Banzab left the weaponmaster to his duties. He was one of her only friends in this place, this town of dirt and chrome. At least he would not be joining them to die. She was needed at the gate—Galab was right. But something kept her from heading in that direction. She was not ready to go—not yet. Perhaps she was not yet ready to die. So instead she skirted the weapons station and headed north, out of Martial Square. The air changed as she entered Second District—it became thicker, sweeter. She walked through a narrow, dirty street, pushing aside tattered clothing that hung drying from lines overhead. The slim blade clanked quietly against her armor as she walked, adding another layer to the already noisy night. For a moment, Banzab thought she felt a disturbance in the air, as if a soul had wandered through her, unable to pass into the beyond. She shivered, imagining what it must be like to die—to die, but to have nowhere to go once you were done. It had been like this ever since the…incident, ten long years ago. Banzab gritted her teeth, refusing to reflect on the memory. Tonight of all nights, she needed to do her best. She needed to banish these thoughts of souls. Maybe she just needed a drink. The edge of Second District was where the rickhouses started. She could smell them immediately, wood mixed with esters and alcohol. This was where they aged their bourbon, using a technique handed down from the original inhabitants of Lusvunub some three hundred years ago, before the Sundering. Back when the town had been called Louisville. Now it was Louisberg in the English tongue; Lusvunub in the language of the People. But they still made bourbon. They had almost never stopped. They used it now for trade, and quite a lucrative trade it was. Particularly when they were selling it to Orym. Banzab ran her hand along the outer wall of the rickhouse she was near, feeling the rough texture of the wood beneath her fingertips. This was their livelihood, their way of life. Without this to anchor them, the People here would likely turn to fighting. She’d seen it before, in other Settlements. It was never pretty, and it only served to further fracture the already tenuous society the People had tried to build. There would have been no society at all if Magona hadn’t arrived. She was an enigma—a mysterious woman who’d appeared from time to time, giving them words of wisdom. She had first arrived some two hundred years ago at least, fashioning a loose form of government and restarting the distillers. The People had been wild, back then. Chaotic. Magona had given them something they had sorely lacked, something they couldn’t find for themselves. She had given them a plan. Banzab turned away from the rickhouse. She could go in, maybe take a barrel sample, maybe sit a while. But it was time to go. Time to lead her People. So she stifled her desire for liquor, turning instead and heading in the direction of the gate. When Magona had left them—a hundred years ago or more—she had told them she would return. And when she did, she had said, she would have need of the People. It would be their time, she had said. They would be needed at long last. They would be needed to fight. And now, as the Sky Cities shadowed the Earth, as potent forces fought in the heavens, as the animals themselves seemed to respond to a great call, Magona had been true to her word. The People’s god had returned. Banzab approached the gate. It was a great circle of brilliant yellow light, shimmering and flickering in white around the edges. She could see a desert through the gate, hot and wavering as if seen through imperfect glass. The People were lining up in pairs, filing slowly through the gate, heading to where they were needed. Heading into battle. Magona herself was standing beside it, watching all, jet black skin gleaming in the reflected sunlight from the magical beyond. She had a faint smile on her face as the People trudged through, stepping onto a new world. She seemed pleased. She turned as Banzab approached, lips curving into a smile that never touched her empty eyes. “It has already begun,” she said, her voice low. Banzab looked at her, at the tightly curled black hair, at the shirt that bared a portion of her stomach. The woman almost reminded her of someone else. Someone from long ago. She didn’t seem to be a god—not here. “The People are obedient, if nothing else,” Banzab said. “Power,” Magona said, almost as a whisper. “What?” Maybe Banzab hadn’t heard her correctly. “Is there a problem?” Banzab asked. Magona didn’t answer. She was looking through the gate, staring as if she could see someone else on the other side. She cocked her head as if listening to something. Banzab thought she heard screaming from somewhere far beyond the gate. The People continued stepping through into the desert sands, seemingly oblivious to their god’s discomfort. Had Magona gone mad? 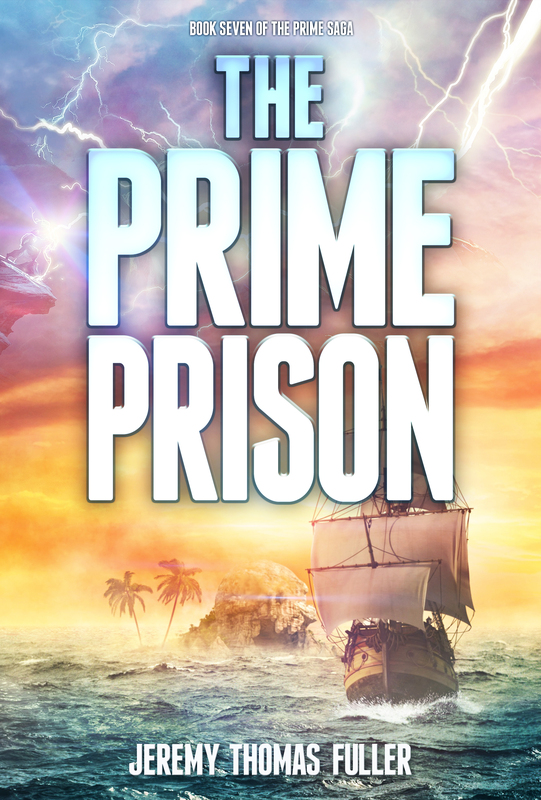 “The gates must…stay…open…” Magona said, but now her eyes were closed and she jerked as if she were being tortured. Banzab thought she heard another piercing scream from far away, then the woman’s eyes suddenly snapped open, focusing on her. Magona was no longer blind. “We can only move so fast,” Banzab said, before yelling commands at the People. They picked up the pace. Banzab looked at her, trying to understand. What magic was this? It was nothing she had ever heard of. Perhaps Magona really was a god. “I will go through last,” she said. Magona simply nodded. They were silent for a time. The People continued leaving, the line dwindling until there were only a few remaining. The others were arrayed out in the desert on the other side, weapons at the ready, as yet unsure what they were there to do. And if something happened to Magona, Banzab realized, perhaps they would never know. They’d be stranded on an unknown planet. Banzab felt a chill rush through her. Should they be doing this? Should they be following their mystical savior into the bright unknown? Why would the People fight someone else’s war? But the choice had been made. Everyone was already there. Everyone but Banzab, at least. She was last, and now it was her turn to go. She took one last look at Magona. The woman was breathing erratically, newly-healed eyes locked on a distant target, muscles flinching periodically for reasons she could not discern. There was something happening, something Banzab could not know, something that was perhaps only in the purview of the gods. Banzab did not want to be a god. So she stepped through the gate. Just as she did, Magona let out a scream. She fell to the ground, writhing in agony, the gate flickering in the air. Beam completed her step, feeling the horrid heat of the desert wash over her, feeling the chill of the gate itself pierce her flesh. There was a moment of confusion as her thoughts went blank, as the gate’s magic did impossible things to her mind. Then she was back, already sweating in the sun, squinting and trying to see Magona’s twisted shape as it lay on the ground in Lusvunub. She wasn’t moving. She wasn’t breathing. Was she—? No. It couldn’t be. Banzab watched her for what seemed like an eternity, but the woman did not move. She stared as the life seeped out of Magona’s face, as her eyes returned to blindness, closing. It had all happened in a moment. Banzab put a hand to her mouth, feeling conflicting emotions warring in her mind. Confusion that a god could die. Relief that they would not be controlled by such a god. Fear that they would be stuck here on this unknown planet, trapped in a desert that they did not understand. Even now the gate was flickering and fading, threatening to strand them. Banzab could order the People to retreat back through it, but she knew that only a few of them would make it before the magic would be gone. She felt defeat as she realized her worst fears had already been realized. Sorrow as she beheld the body. And as she looked at the corpse of their savior, as she saw a spider crawling across the woman’s prone form, she felt another emotion.